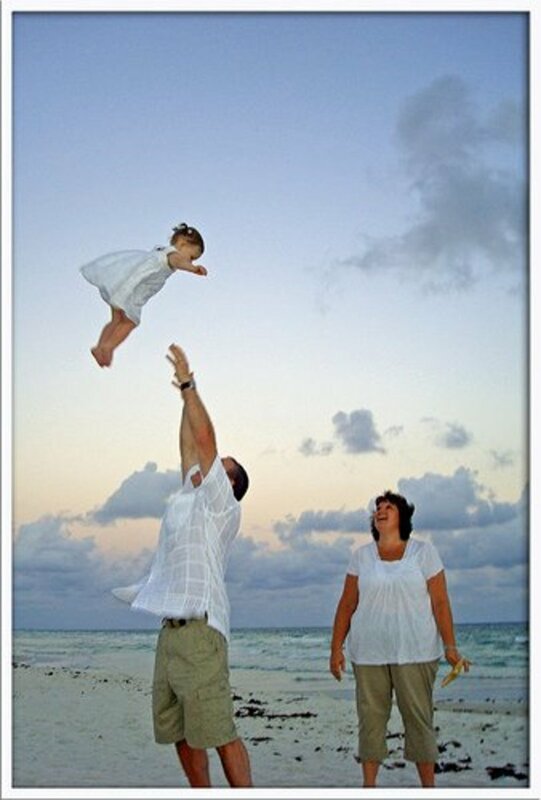 All my life since I was a very young child I have been visiting the Florida Keys and Marathon Florida is one of my favorite places in the Florida Keys. Once you get to Marathon Florida you'll find that the Atlantic Ocean is located on one side and the Gulf of Mexico and Florida Bay on the other side. 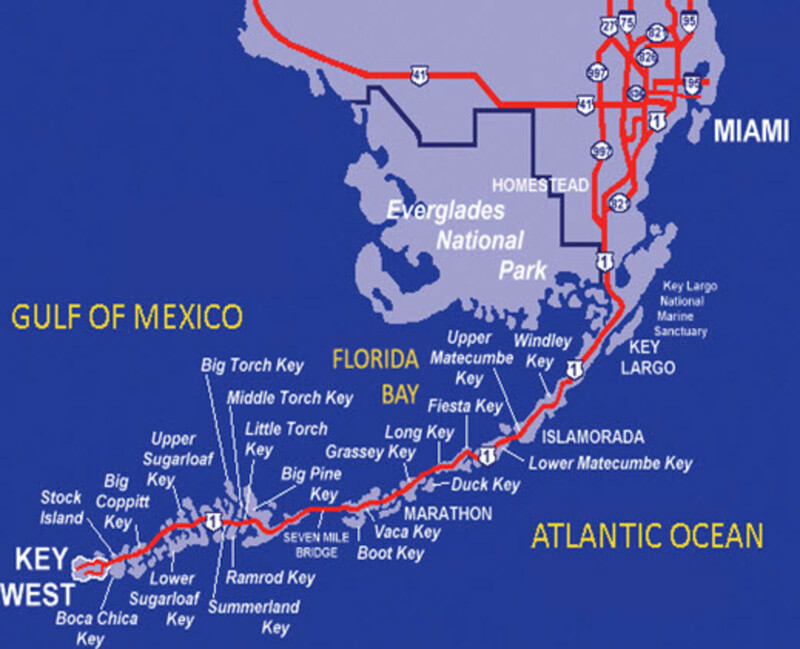 Marathon is located on a long narrow key called Vaca Key. Marathon has almost anything you could possibly want including an excellent hospital, a small airport and lots of great places to shop. If you're here to go fishing you'll find an excellent fishing pier at Long Key Bridge. 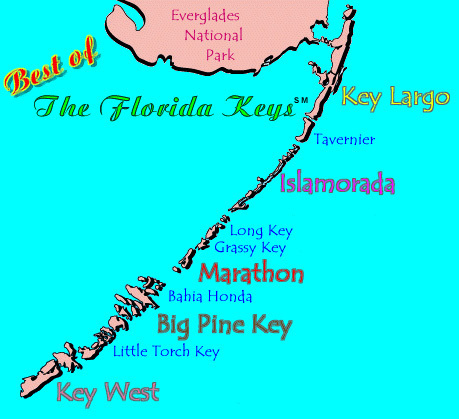 Marathon bills its self as the heart of the Florida Keys. At the Dolphin Research Center you'll actually be able to get into the water and swim with dolphins. As you travel along keep your eyes open and watch for Key Colony Beach. You'll find the posted speed limit here is only 25 miles per hour and the speed limit is strictly enforced. If you go over 25 mph here you will get a ticket. In Marathon you'll find a full size K Mart, 2 grocery stores and a home depot. You can find just about anything you want or need in Marathon. While you're in Marathon watch for signs pointing you to Sombrero Beach Road. At the end of that road you'll find one of the best well kept beaches in the Florida Keys. At the west end of the park there you'll find a place called Sister's Creek. In the mouth of the creek cast a line out baited with a live shrimp and you may catch a snook or tarpon. Yes the fishing is that good here. You'll also find barbecue grills, and picnic tables for your use here. If your standing on the beach and look out to sea you'll see Sombrero Lighthouse which is a wonderful place to go snorkeling. In fact one of the best places in the Florida Keys to go snorkeling. 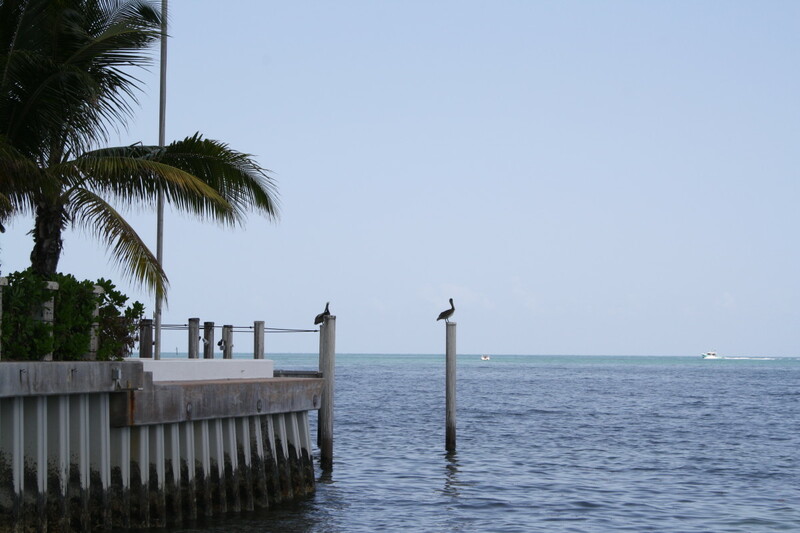 Marathon is really one of the best places to go on vacation in the Florida Keys. You'll find most of the hotels and motels offer heated pools so you can go swimming year round. At the end of Marathon is the historic seven mile bridge and there is a parking area where you can park and walk out onto the old shut down seven mile bridge that is also a fishing pier and you can look down into the water there and see tarpon, sharks, giant rays, and sea turtles. The sea life in this area is just simply amazing. There really is no place like this in the world. You can walk along the beaches of Marathon and see horseshoe crabs feeding in the shallows and dolphins herding fish up against the beach so they can have breakfast. It is nothing to see a dolphin fussing at a brown pelican on the beach because the pelican has just swooped down and stole a fish almost out of the jaws of the dolphin. And the sunsets let me tell you about the sunsets. The sunsets in Marathon are almost worshiped by the locals here in Marathon. You will see people gathering looking out to sea and you'll wonder what they are looking at until you realize they are looking at the sunset. And oh what sunsets they have here in Marathon. 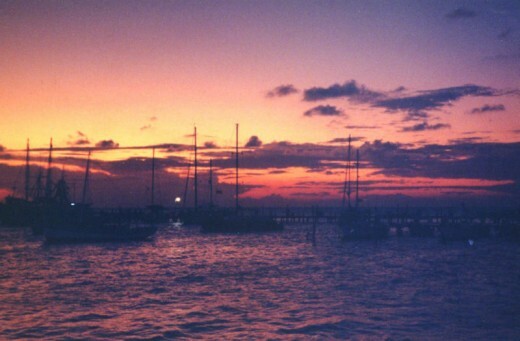 And really almost anywhere in the Florida Keys your going to have sunsets that are going to make you go wow! I have been all over the world and I have never seen sunsets like they have in the Florida Keys. If you traveled all over the world and looked for the ideal place for sunsets then the Florida Keys would have to be at the top of the list of the worlds most beautiful sunsets. Out on the old shut down part of the old seven mile bridge is a world class fishing pier and you can go out there near sunset and see the most marvelous sunsets in the world. There is a parking area there but be careful because if you miss the turn off you will have quite a ways to go before you can turn around and come back to the parking lot. Marathon Florida Is One Of The Most Beautiful Places On Earth. You will find Key Colony Beach at mile marker 53.5 off of U.S. 1 which is known locally as the Overseas Highway. You can find great half day or full day fishing charters at the Key Colony Marina and Sparky's will cook your catch for you when you get back to the dock. They have some of the most wonderful food in the Florida Keys or in the world for that matter. If you're looking for a great place to stay be sure to check out the Sambrero Reef Inn and Fishing Lodge. It's a great place to stay and they can point out several experienced fishing boat captains that can take you on a fishing trip you will remember for a lifetime. Check out the photos of the fish caught by boats in the area above. But you don't have to go out on a boat to catch lots of fish here. You can rent or buy a rod and reel and go out on the old seven mile bridge which has been turned into a fishing pier. From the old bridge you can catch even tarpon at certain times of the year. Just ask at one of the local bait and tackle shops what kind of fish are biting now and what kind of bait you need to use. If you love sea turtles like I do then you want to be sure to see the sea turtle hospital at 2396 Over Seas Highway. You will find the Sea Turtle Hospital is open daily at 10 A.M., 1 P.M., and 4 P.M. and you do need to call ahead when your going to visit the Sea Turtle Hospital. They are happy to see you but they need to know your coming ahead of time. You can give them a call at 305 743 2552. You can just show up here but if you hope to get to swim with the dolphins you need to give them a call ahead of time. You can call them at 305 289 0222. They are open every day from 9 A.M. to 4.30 P.M. They are located at 58901 Over Seas Highway. Here you will get to know a dolphin on a one to one basis and it truly is one of the most unusual experiences in the Florida Keys. Here is a place children of all ages can really enjoy. They have a large tank where you'll be able to touch all kinds of aquatic animals. One of the things I always enjoy here is the simulated coral reef cave. You'll also get to learn all about the native wildlife of the Florida Keys. They are located at 5550 on the Over Seas Highway which is at mile marker 50.5. They are open Monday thru Saturday from 9 A.M. to 5 P.M. and on Saturdays from 12 Noon to 5 P.M. I highly recommend this place to anyone. Everyone once in their life should see the Seven Mile Bridge. It is truly one of the most beautiful places in the world. Be sure to take your camera with you and be ready to take some of the best pictures in the world from the Seven Mile Bridge. And you can walk or go fishing from the old seven mile bridge which has been turned into a fishing pier open to the public. The area around the seven mile bridge is considered to be the best tarpon fishing in the world. 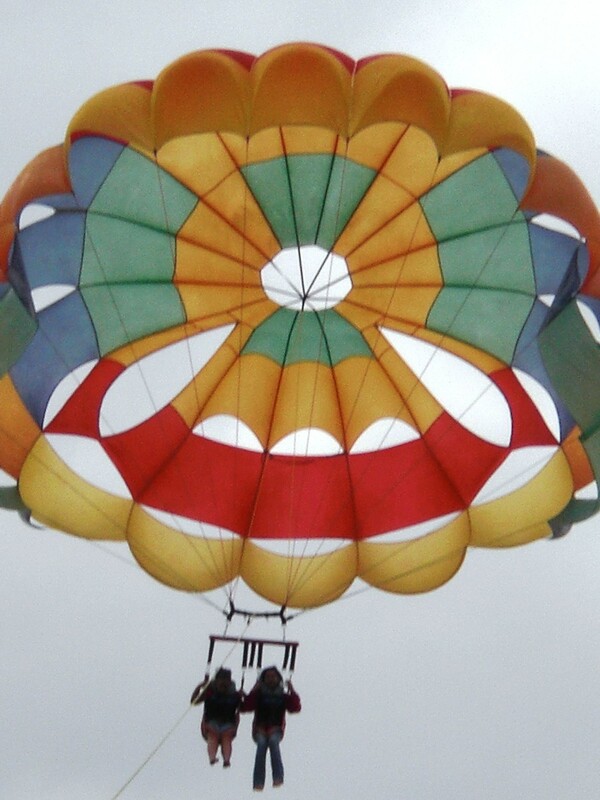 And those are only a few of the things you can do while you're in the Marathon Florida. There are all kinds of other things you can do and the scenery in all of this area is some of the most beautiful scenery in the world. A lot of people including me consider the Seven Mile Bridge and the views from it to be some of the most beautiful views in the world. I hope you get to visit Marathon Florida soon and I hope you'll post a comment below. Thanks for reading my Hub Page on Marathon Florida. I appreciate it. Please Post A Comment Now About Marathon Florida. 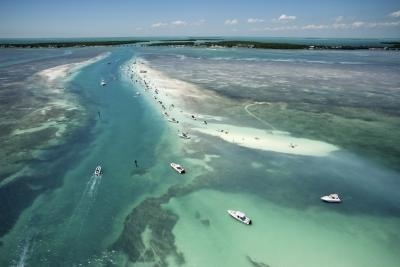 Have You Ever Been To Marathon Florida Or The Florida Keys. Please Post A Comment. Thanks For Reading. Your very welcome. It is a truly magical place. I love the keys; I visit relatives there whenever I can! I never heard of Marathon, Fla, before this hub, though I must have been very near it. The turtle place alone would make it worth a visit for me, when I am next down there. Thank you! I thing I would like to visit Marathon after reading this. Thanks!